A year and a half ago, when Pippin Williams wrote the authoritative review of WordPress page builders, there were several strong contenders. If you’ve been paying attention, you’ll have seen that the field quickly narrowed to two: Beaver Builder and Elementor. These two giants in the page builder arena have been locked in a page builder war for the hearts and minds of WordPress site builders. I’ve been following developments closely and at this point I’m calling a decisive victory. Things are moving quickly in the WordPress space. If you want to be effective in what you do, you have to stay current. If you are building a site for yourself, you want the best and easiest to use page builder. You need good tutorials and good addons. If you are a creating sites for others, you need to pick the best tools that will be kept up to date, be easy to use, be flexible so you can achieve the results you need, and be the most cost and time effective. If you are a developer, you want to target the market. You need to go where there the sales are and create tools that people need. If you are a blogger, screencast tutor, or podcaster, you need to focus on topics relevant to your audience. Elementor has approximately 30% more active installs and free plugin addons in the WordPress directory. A year ago there were few plugins tagged for Elementor available. Elementor has many more widgets available in its free version. The greater number of widgets in the free version is often attributed as the reason for Elementor’s popularity. However, there is more to it than that. Both Beaver Builder and Elementor have about the same number of modules / widgets in their premium versions (~30). 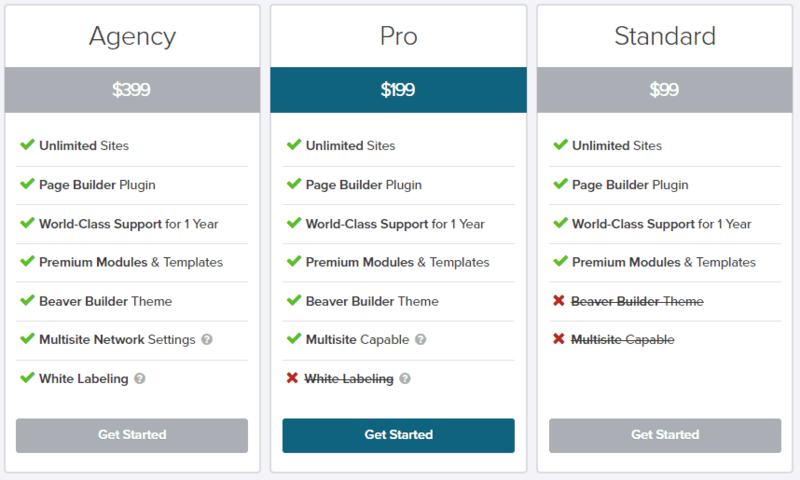 Beaver Builder premium version comes with 30 pre-designed templates. Elementor has more than 100 templates, some of which are available in the free version. Elementor recently introduced reusable content blocks. A year ago there were very few premium addon packages for Elementor. Today, all of the well-known addon providers, like Brainstorm Force and Idea Box Creations, have addon suites for Elementor. Overall, the total number of premium addons is now about equal. I think it is fair to say that the addon suites for Beaver Builder are more mature and offer more additional features than the Elementor counterparts, but that is quickly changing. Beaver Builder offers a 40% discount on renewals. Elementor offers a 50% discount on renewals. If you are a single site owner or have 2 or 3 sites, then Elementor pricing is more attractive. Beaver Builder’s only option is for unlimited sites. That simplifies matters because you don’t have to keep track of activations. However, it seems like an unlimited only option targets site builders over individual site owners. If you compare the unlimited versions, Elementor is more expensive. Advanced WordPress sites benefit from using Custom Post Types for special content. Last year the Beaver team released a new product, Beaver Themer. Themer lets you create content templates for custom post types, as well as for regular posts and pages. This is a very nice addition. Beaver Themer sells for $147, with a 40% renewal after the first year. The forthcoming version of Elementor Pro 2 will also include these theming features, though they will be included in the Pro plugin and not be an extra cost. So, if you need advanced theming features then Elementor will be less expensive. An often cited quality of Beaver Builder is its stability. New releases rarely break existing sites. If you are maintaining a large number of sites then that stability is very important. The last thing you want is to run a fire drill fix on 50 sites. When Beaver Builder releases significant upgrades the beta periods last for months and months. The result is that the releases are very stable, but that change is very slow. Elementor has pushed out new features quickly and sometimes that has caused issues for existing sites. Rather than slow their release process, they built into the plugin the ability to fall back to a previous version. One would imagine that there is a middle ground between these two approaches! While Beaver Builder search volume has remained consistent, Elementor began to pull ahead in the summer of 2017. Elementor is now searched for 4 times more often than Beaver Builder. This fact was my wakeup call. This article only makes a high level comparison. There are many other points that may matter, depending on your needs, goals and workflow. For example, people often say that Beaver Builder is easier to learn and the UI is easier to navigate. For Elementor, there are more style options, so it is not necessary to add custom CSS as often. Also, each builder handles layouts for different sized screens in a different way. I’ve framed the comparison as “a war,” but the representatives of the two companies are very polite, professional, and do not compare themselves to their competitors. They prefer to let their products stand on their own. It is for us to watch the trends, make comparisons, and our own decisions. Based on the data that I found when conducting this review, it is clear that this round is over. Elementor has won the battle. 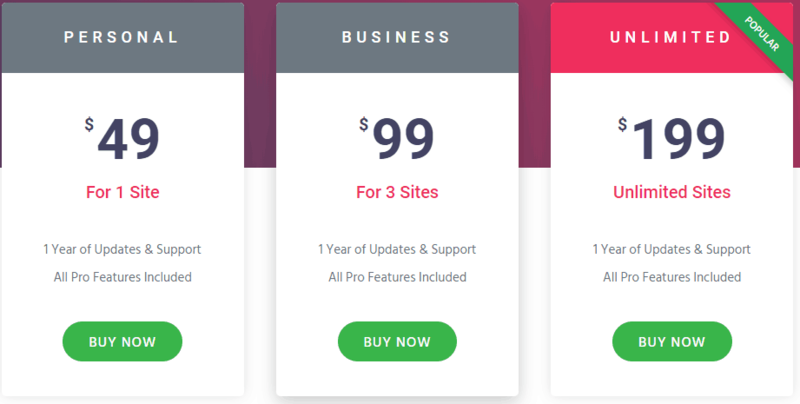 It has more options, the number of 3rd party addons is starting to surpass Beaver Builder’s, Elementor has more mindshare, the pricing is more flexible and often Elementor is less expensive. There can be more than one battle in a war. This round is over, but the WordPress ecosystem is in a state of flux as we prepare for the release of the Gutenberg editor. Gutenberg creates opportunities for innovation and openings for competitors to make a move. 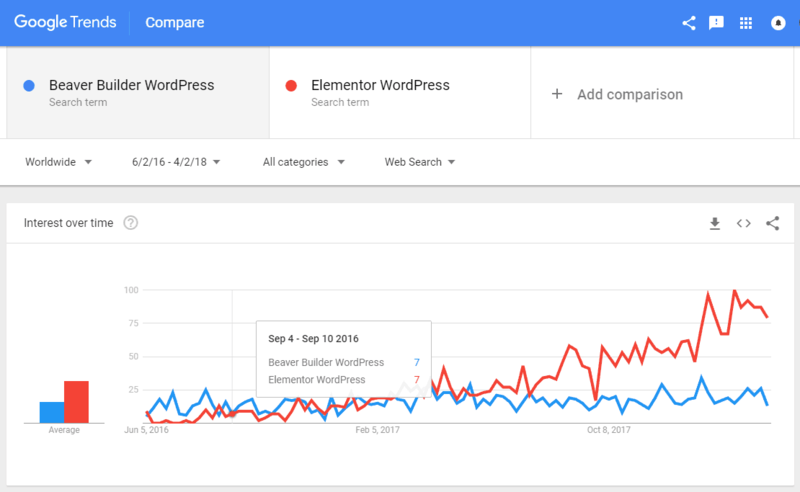 That said, if you are active in the site builder space, and want to stay current with WordPress trends, it is time to stop asking which page builder to choose and to start learning Elementor. I have been a long time Beaver Builder user. Generally speaking, it works well and I like it, though there are some rough spots. I’m not planning to yank Beaver Builder from existing sites, but will use Elementor on the next project. What about you? Great research. Very interesting how the 2 compare. Someone told me recently that they researched themes/builders and ElegantThemes’ Divi was more used than either of these by a long shot. If you update your article or revisit this topic, you might want to look at how it compares. Hi Tevya, Glad you found it interesting. I have used Divi in the past and it has a lot going for it. I’m aware that the Divi theme has more market share than Beaver Builder or Elementor combined, but Divi’s reliance on shortcodes makes me uncomfortable. I wonder if they will ever rewrite the Divi Builder to not use shortcodes? I would not call myself a “long-time” Beaver Builder user but I have built quite a few sites on it now and I really like it. I’m not planning to yank Beaver Builder from existing sites, but AM CURRENTLY using Elementor for a NEW project. Congrats for being open to try new things. How are you find the learning curve? Thanks David. I’ve used it for a small project before. So it’s not completely new. I also added Astra to the mix, I previously used Genesis, then recently switched to GeneratePress. So it’s been a bit of a challenge as everything apart from WordPress is a learning curve! You’re ahead of me then. I’m using it for the first time. I had a similar theme journey: Genesis, Divi, GeneratePress, and now Astra. For it’s very simple, since 1 year I use exclusively Elementor + PRO (lifetime license) with the free OceanWP theme, I migrated a dozen sites that used a Premium theme (Enfold, Avada, Jarvis) on this solution and I built twenty new sites with. The fact is that with Elementor I produce 80% less code for a higher result, especially for responsif. The sites are also faster and more attractive. My development time is reduced by about 50%. I am delighted with my choice of technology and my changes in production strategy. You are correct Steve. There is no lifetime option for Elementor Pro. Perhaps he is referring to OceanWP, which has a lifetime option, or perhaps there was an option to purchase lifetime while Elementor Pro was being developed(? ).